Recently we made two separate orders from a couple of Bee supply companies. One of the orders is on back order and so the entire order will be held up. If you have not ordered your 2011 supplies or Bee packages you really should do so as soon as possible. You’ll need to have everything on hand before the bees arrive. Check to see whether or not you have had a bee loss over the long winter. If the food is in short supply you will need to supplement their feed. This is the time to put in some pollen patties as well, which we recently did on our farm. Make sure you keep good records this year especially if you neglected to do so last year. Hopefully you have been studying up on Beekeeping over the winter, rejuvenated for this upcoming season. If you have made some bad decisions or had a few mistakes you’ll need to decide what you are going to do to improve your methods. Nobody wants to repeat the same mistakes twice. 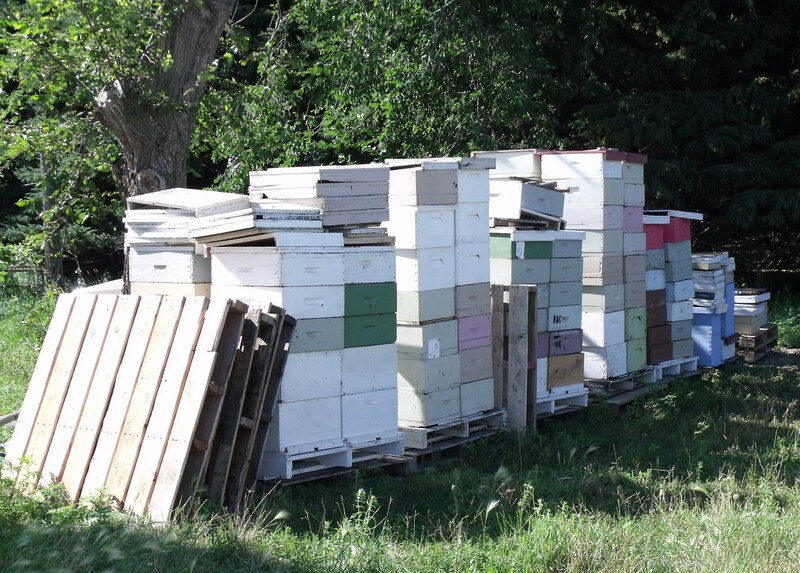 We purchase most of our bee supplies from Mann Lake Ltd. out of Hackensack, MN. 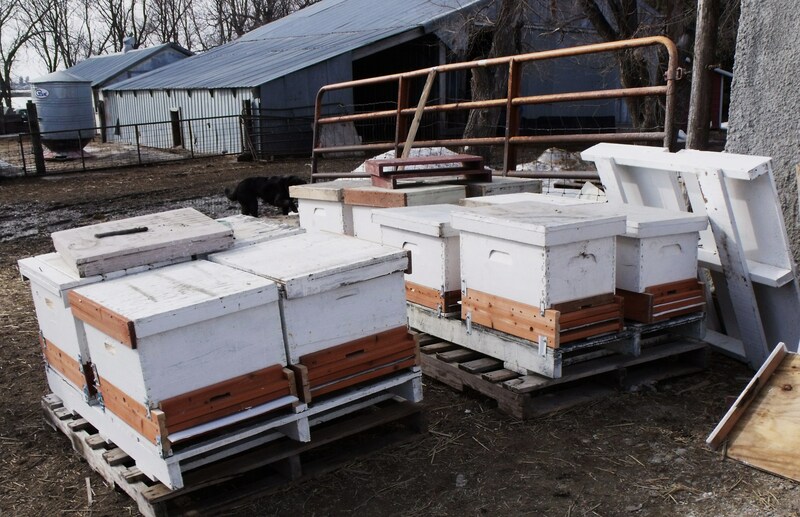 Our bees came from them last year but this year we purchased our bees from the same actual supplier only the pick up location is at least two hours closer which will save on time and gas. Our other supplier is Betterbee Inc. Both of these companies have websites you can check out. I purchased a 5 pound jar of honey the other day with the thought of saving our own honey up to feed to our bees later. Well, that was a waste of money. The kids haven’t hardly touched the stuff. It is supposed to be Clover honey but tastes and smells like corn syrup. Although the label says it is only honey, I highly doubt it. Sad to say. I know the kids speak the truth since they do consume at least a pound of honey every day or two and have suddenly stopped! Know your supplier when purchasing pure honey. There is too much junk coming in from other countries. They are filled with corn syrup and malt sweeteners among other things. After having had the best you can really taste the difference. This entry was posted in BEE NEWS AND UPDATES and tagged bees Callens farm. Bookmark the permalink.